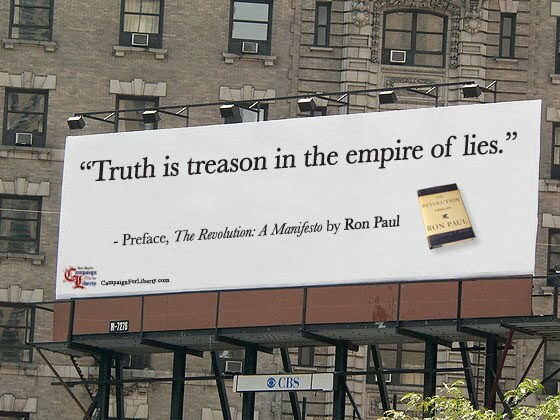 "FIND MY THREAT - Michael Spreadbury, Ravalli County Montana Exposing Montana Corruption. As promised, the FIND MY THREAT game has arrived. 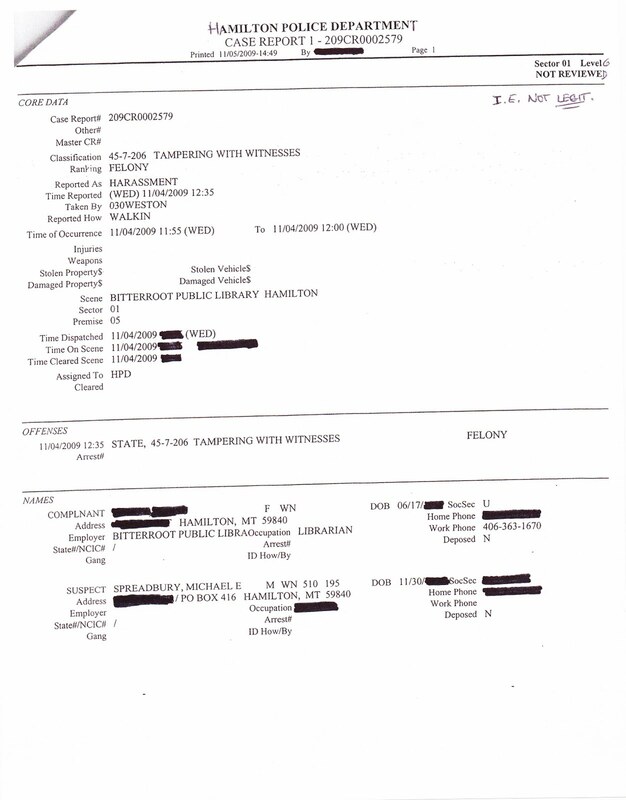 On November 4, 2009 Michael Spreadbury approached a librarian and asked for help in public. The most intense evil, corruption, and hatred on the planet is incorporated in Hamilton Montana, and throughout the state of Montana which ranks 48 in the lower 48 for Justice (we have no justice--see what we did about it). A county deputy prosecutor was promoted to work for Steve Bullock, Montana Attorney General in Helena assigned as "special Ravalli County prosecutor" in the case for Ravalli County Attorney George Corn. A witness, Gavin Ricklefs "recognized" Michael Spreadbury although they never met. The Librarian swore in court Nov. 20, 2009 that she did not remember anything Spreadbury said to her Nov. 4, 2009 outside the Bitterroot Public Library (witnessed). 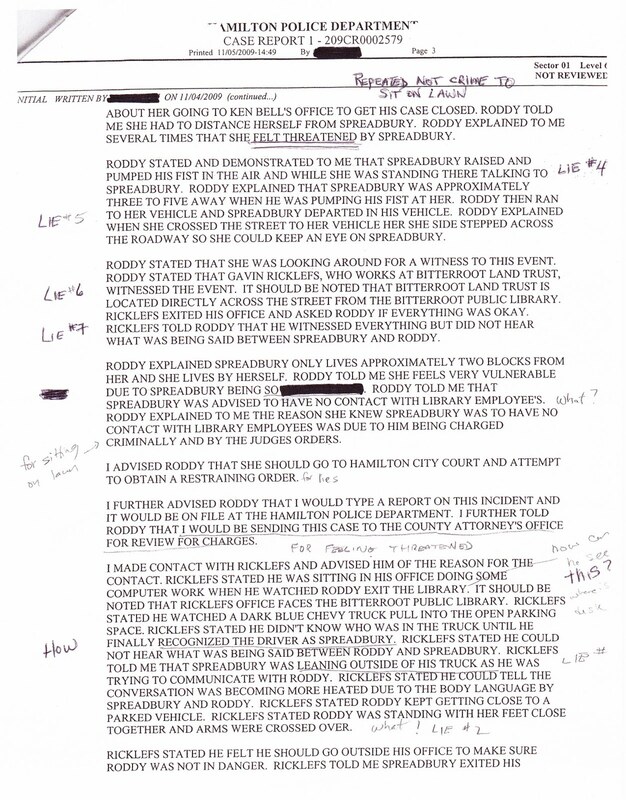 The librarian also swore to Hamilton City Judge Michael Reardon that she went to the Hamilton Montana Police by herself---the Hamilton Montana Police report says differently. 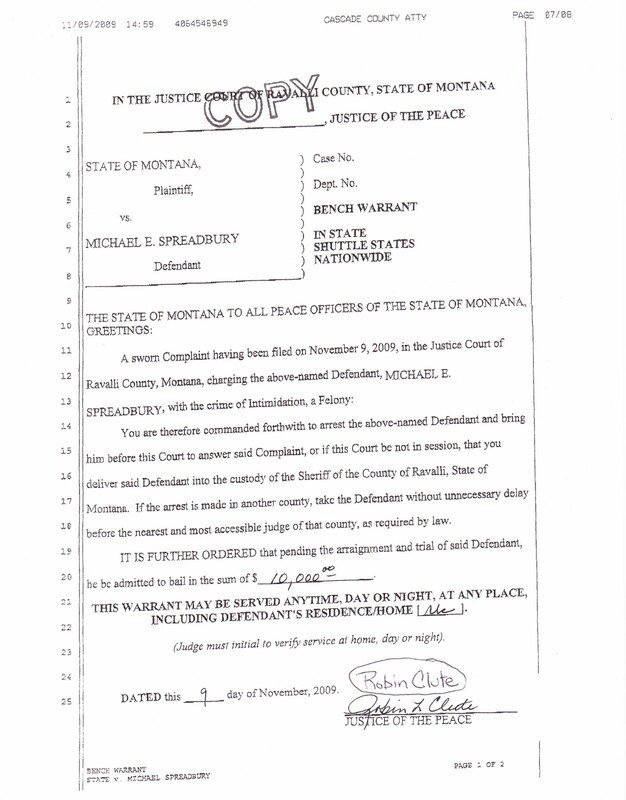 Reardon made opinion that Spreadbury did not violate any court restrictions at hearing November 20, 2009; in the hearing City Attorney Bell represented the Librarian, in violation of his official duties, known as Official Misconduct MCA 45-7-401 a misdemeanor in Montana. The Librarian, and library are now being protected by a law firm [Boone Karlberg PC of Missoula, Montana] using fraudulent public funds [public fraud is the #1 CRIMINAL priority of the Federal Bureau of investigation (FBI)]: http://www.fbi.gov/about-us/investigate. 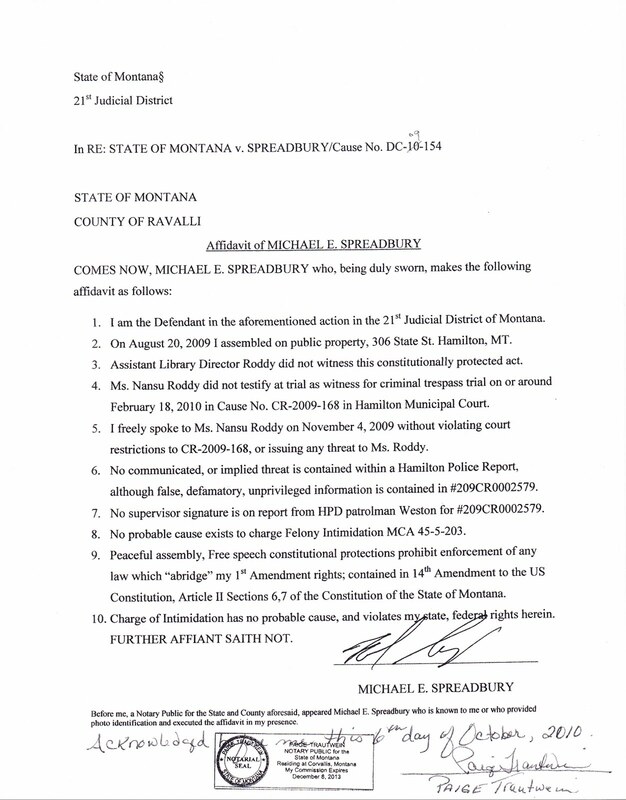 We submitted this information to the RAVALLI REPUBLIC "political officer", and decided to protect the constitutionally criminal, treasonous by not releasing the name of the officer, because it would literally destroy his career, and Michael Spreadbury wants none of that for the guilty pinhead. Defamation by the Librarian was removed from the Hamilton Montana police report, which is not needed now. Of note, the police report was not signed by a supervisor, which on its face makes it illegitimate. Welcome to Hamilton Montana, and lets get ready to play: FIND MY THREAT. sworn at the "Ravalli County Courthouse"--they don't let you do this anymore....hmmm. Next is the information. The affidavit for arrest had ink spots, and this was nearly identical. Now important to note, look for threat to person, place or property, none are here. The definition of Intimidation [MCA45-5-203] is reworded into an information for an arrest "abridging" my right to speak. (Prosecute Steve Bullock & George Corn for Negligent Constitutional Deprivations). The next pages are the NON-REVIEWED police reports from Hamilton Montana PD. 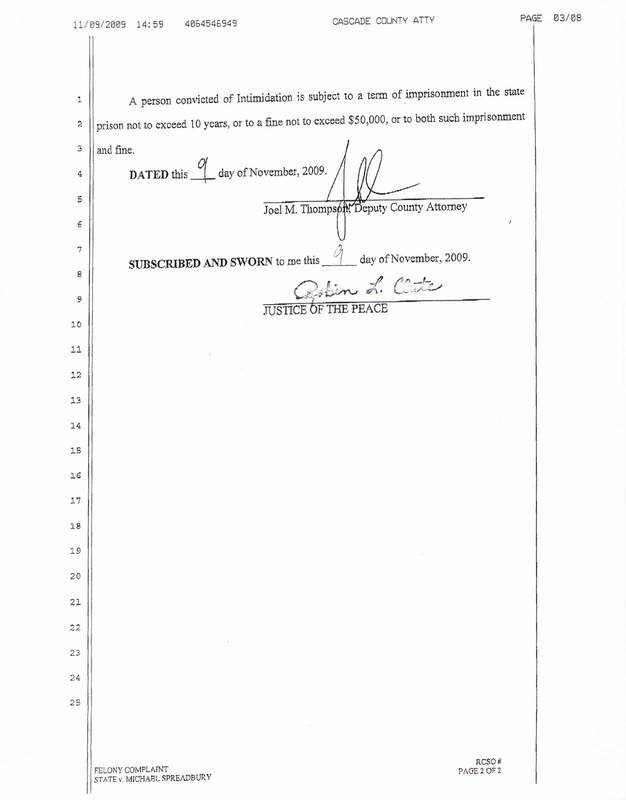 Again we kept the officer's name off the report to keep Judge Haynes 21st Montana District Judge happy. The librarian was not a witness to peaceful assembly, protected right in 1st Amendment US Constitution. Spreadbury was asking for help to drop the charge, because it is not a crime to sit on public property peacefully in America. By the way, it is also not a threat to ask for anyone's help without threat in America [free speech]. The librarian told Michael Spreadbury "...she knew how to help him" after they spoke Nov. 4, 2009. The free speech issue is pending on appeal at the 48th ranked Supreme Court in the continental United States: Helena Montana. The Hamilton Police feel that the city-owned block containing the Bitterrroot Public Library is private property, so does the former JAG lawyer now Judge Michael Reardon of Hamilton Montana. It is not a crime to sit on public property, just stupid people out doing themselves, and violating their oath to the US Constitution, but affirming the Ravalli Republic where no constitutional rights are given. please add when Nancy Joy Hendrickson shows her deer in the headlights look of guilt: does anyone know that I am sleeping with Dennis Stranger, Planner and Vice Mayor of Hamilton? please edit this movie to be the incendiary bomb that we wanted in August. 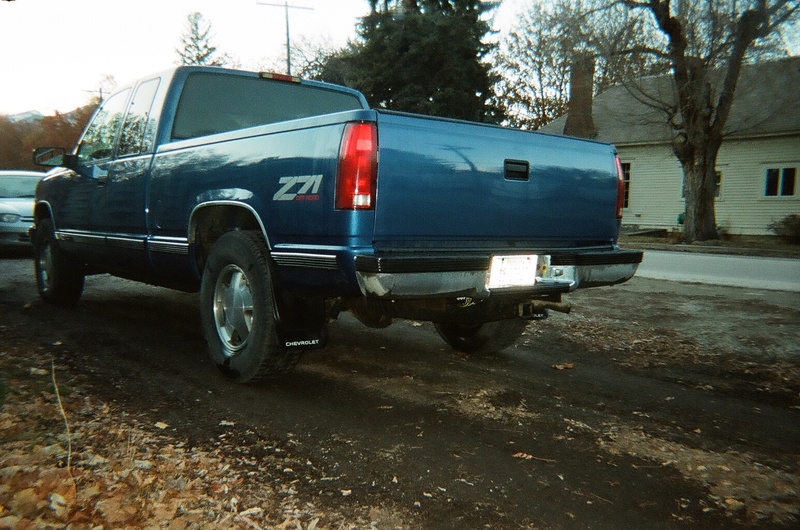 Spreadbury had tinted windows in the back of the cab of his Pickup. How could Gavin Ricklefs recognize someone he never met through tinted windows? Something is really fishy about the law enforcement story from the Librarian and Dennis Stranger. The going story in front of the Supreme Court is that Spreadbury stayed in his truck. I bet that a person working across the street would stop their concentrated work activity, recognize a person parked at the Library, although they never met. Roddy was accompanied by Dennis Stranger Hamilton "special projects director". Apparently, charging Spreadbury against constitutional rights was a special project of the City of Hamilton, Montana. 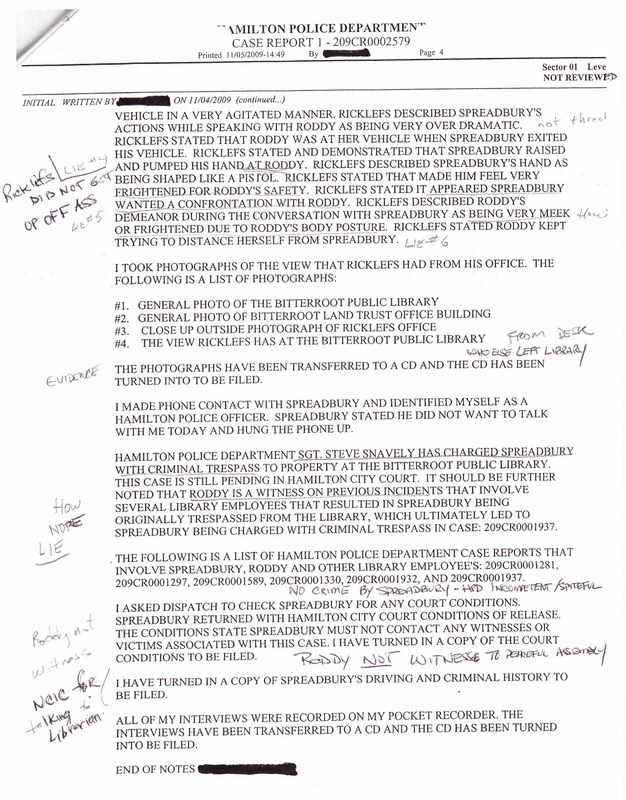 Here is a sheet (of 9) where the librarian claimed to Reardon she was alone at the HPD: false swearing to a judge MCA 45-7-202 a misdemeanor (see next exhibit below). Hamilton Judge Reardon bragged that no finding of fact, rule of law due to Spreadbury, public being too stupid to understand. This violates at minimum Rule 52(a) of Mont. Rule Civil Procedure, due process, right to liberty [here your due process is what you are DUE]. 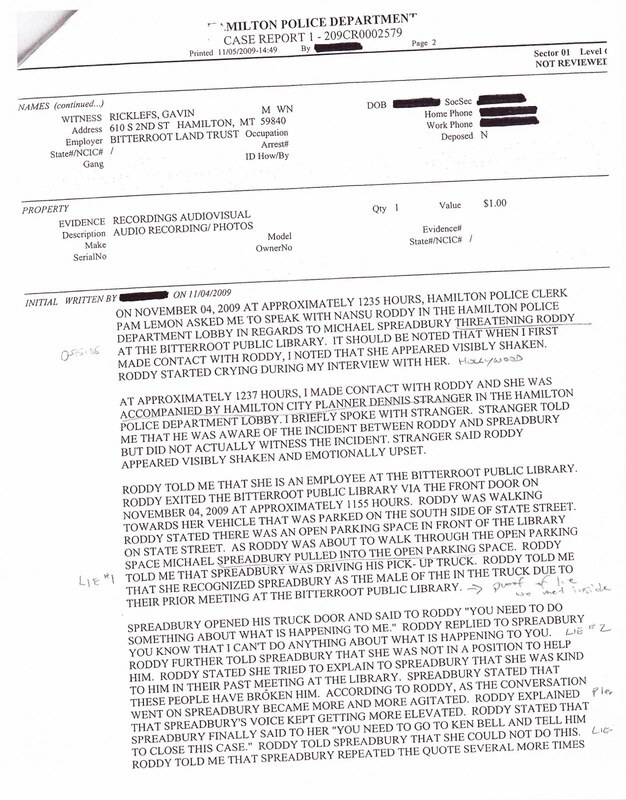 Sidebar: the librarian approached Spreadbury hugged dog 10 days prior to "FEELING THREATENED". While I did offer a reward to anyone who could bring information that would disbar George Corn of Montana, this proof shows that no threat exists, I thank those who looked through this material, and "played the game". That is all life is in Ravalli County and Montana, a game to the judicial system. Crime is ok if you were married to it, or you are going against an "undesirable" [a non-native person to Montana]. Thats why we call this place MONTANISTAN, the "last best place for justice". This is what we meant by the Ravalli Republic, due to it not being the American Republic in Hamilton MT. In 2007 we asked the Montana Congressional delegation for a Congressional Inquiry to Civil Rights in Montana. Melodee Hanes, soon to be Mrs. Baucus gleefully told us "no dice". then moved to DC with Max. A letter was written to the US President in 2009, the nexus of this encounter was asking for it's placement in the Bitterroot Public Library. By banning it, millions of Americans have wanted to read it and have. If you Google "Letter to the US President", our letter is #1 from Montana under the US White House listings. So for a group of people who wanted to punish the messenger, the joke is on you. Moral judgment of Ravalli County and Montana from the world readers of our information since 2007.
http://www.librarything.com/work/10769795 [Library review of our US President letter, counter]. CAN ANYONE FIND MY THREAT? " Source of Information in Original Post. 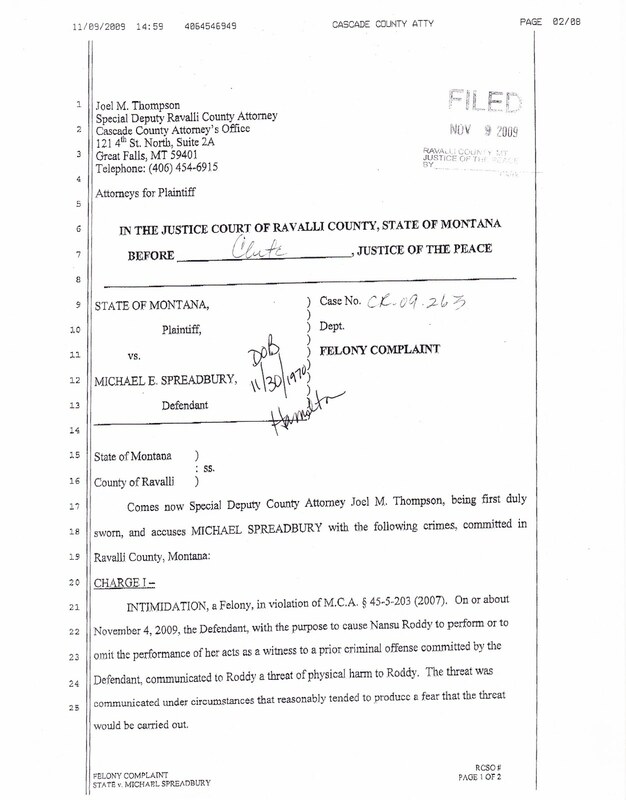 So Folks Can you Find the Threat in the "Find My Threat" Michael Spreadbury Montana Story? 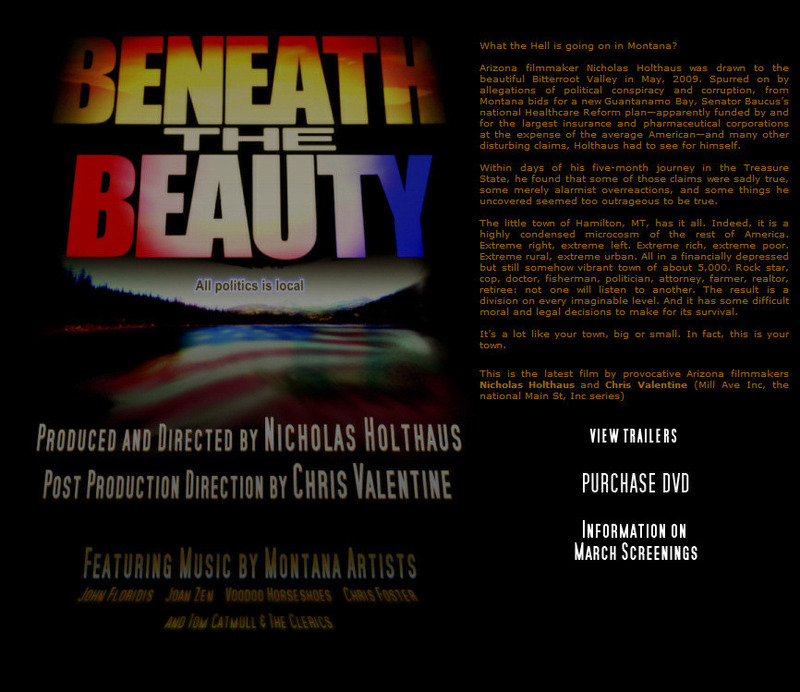 Coming Soon Lots More on Montana Corruption the "Find My Threat" Movement in Montana to hold Law Enforcement Accountable to the same laws as private citizens and to promote transparency in government.